Capture precious moments with a click! 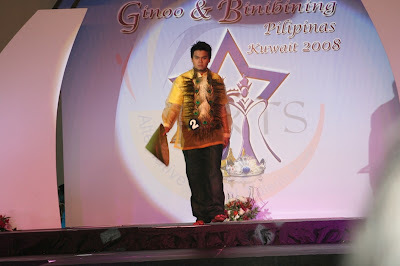 There's no better way to preserve good memories but through the lenses and the newly-formed group, Pinoy Digital Photographers in Kuwait or PINDOT knows exactly the magic and power of the digital camera that captures vividly the trivialities and essence of life, people, events and the world that we live in. 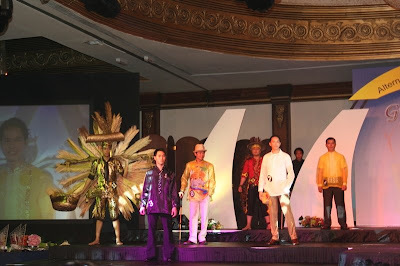 PINDOT, a Filipino word which means "Click" in English, finally clicked its way on Friday at the L'Elysees Suite Hotel during the event organised by the Creative Entertainment Group (CEG) led by Ferdie Nadera. The PINDOT founding members Benedict Garcia, Neil Ocampo and Jeb Elamparo explained that they're bound by their love for photography and decided to form the group in April this year. "Currently we have 33 members and we would welcome others who share the same passion with us", explained Garcia. He added thatthe group's initial project will be a photo exhibit dubbed "PINDOT for Frank," a fund - raising event for those devastated by the typhoon Frank in the Philippines. He explained dthat some of their masterpieces will be sold to the public and the proceeds will be donated to the typhoon victims. "Photography is a great form of hobby. It's a stress buster and more importantly, a perfect medium of self-expression," shared Al Manlangit, a member of the group and an architect by profession who enjoys taking photos of panoramic landscapes. The launching of PINDOT was attended by Philippine Labour Attache Leopoldo De Jesus, Welfare Officer Amy Crisostomo, some US Embassy Officials and other distinguished guests. 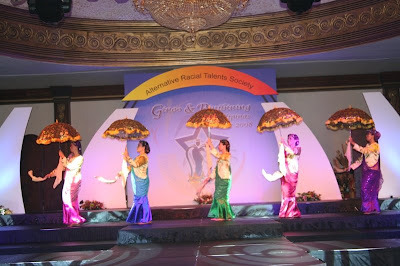 Creative Entertainment Guild (CEG) hosted another show on Friday at Hotel L'Elysees in Salmiya. The venue has virtually become a launch pad for three events to be held this coming August; Pindot Digital Photography Exhibition (August 2), Talent Festival (August 22) and the Xtreme Showdown (August 29). During the night, the audience was treated to a colourful show with the participation of the talented and bombastic breakdance group that will be participating in the X3M Showdown 3-in-1 Event on August 29 at the Qadsiya Sports Club. 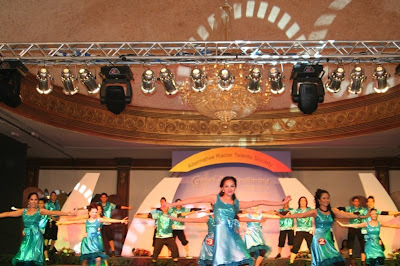 THe B-Boy Dance group performed breathtaking routines and acrobats to the delight of the audience. The X3M Showdown organised by the Corporate and Multi Media Event Organization will aslo feature a DJ Competition and Sports Fashion Expo. 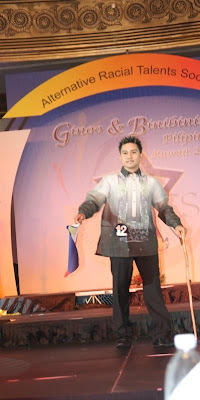 CMMEO President Linus (Lino) Rosete invited the audience to watch the X3M Showdown 2-in-1 Event. Equally talented performers, the Pilates G-Girls captivated the audience with their graceful dance captivated the audience with their graceful dance rendition while a duet of Celine Dion and Barbra Streisand entitled "Tell Him" was performed by Kay and Bernie, belting their hearts out. 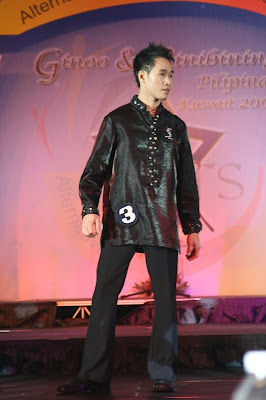 The PsyCrew all male dance group grooved on the dance floor as the audience clapped their hands. 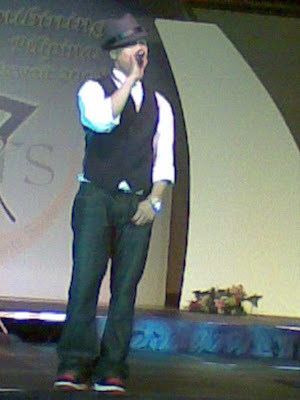 DJ Vako, one of Kuwait's best disc jockeys also brought down the house with his unique blend of music. 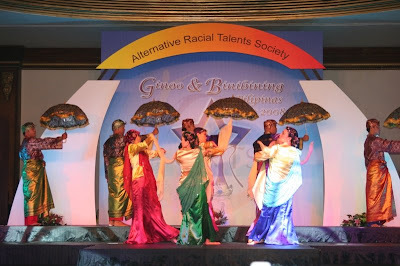 More talented individuals and groups will showcase their craft in the upcoming Talents Festival organised by the Talents Unlimited Group on Aug 22 at the Fakhr Al-Deen Ballroom, Dawliah Complex, announced TUG President Rob Martinez. The event hosted by Ricky Laxa was sponsored by Al Tajaz, Fakieh Bbq Chicken, Almar Geronimo, The Athlete's Foot, Sebamed, K-Climb, Nando's Peri Peri Restaurant, Romano's Macaroni Grill, Tariq & Norieta Sairat and ABS-CBN/TFC Middle East. L to R: BlisterSister, Fatum (BB. 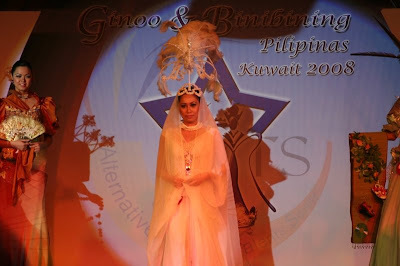 Pilipinas Kuwait 2008), 2 Pilates G-Girls, Labour Attache Leopoldo De Jesus, Fatum's Father?, Rob Martinez, I knew him as the Arifjan Dude, Ferdie Nadera. Sitting are the Pilates G-Girls and i'm guessing some of the CEG organizers. 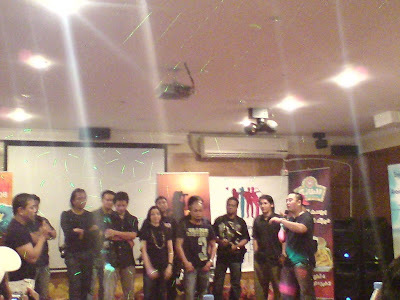 L to R: B-Boys Dance Members, Lani of CMMEO, Kuya Lino of CMMEO, BlisterSister, Fatum. Sitting are the B-Boys dancers, the PsyCrew dance members, Pilates G-Girl. Blues Clues! 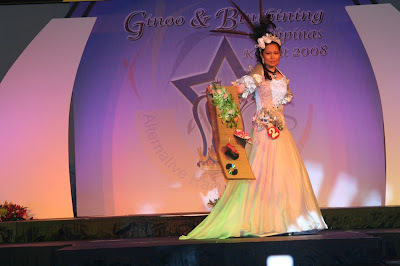 : The BlisterSister is one of the models for the Sports Fashion Expo for that X3M 3-in-1 Event. Go Sister Go! Hehehe! 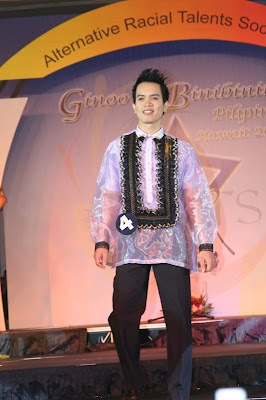 I agree with Labor Attache Leopoldo De Jesus when he said that we don't need to import talents from Manila because we already have the best home grown talents here in Kuwait. Death Sentenced Marilou Ranario, Pardoned by the Amir of Kuwait! This news flash isn't confirmed yet but that's the chinese whisper that's going on around the Filipino community here in Kuwait. I was told that it will be in the headline news first thing in the morning. Marilou Ranario was the one accused of murdering her employer 3 years ago and was sentenced to death by the Kuwait court despite the appeals made by the Philippine government. 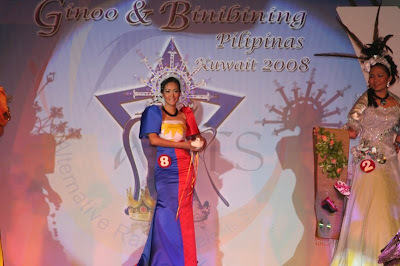 I blogged about her story in this link last December. Please, let us send her good thoughts and prayers that the Amir pardon was indeed granted and that she will be sent back to the Philippines where she can be taken cared of by her family and friends. If ever it's true, let us thank the Kuwait government for showing mercy and the Philippine government for doing everything that they can to free her. I'm sure you guys have read all about this from the papers. Al Watan papers to be exact. It's being featured for the past couple of weeks now and I am quite excited by this event. 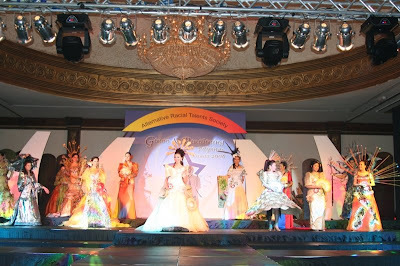 It's not the typical Filipino event coz this will be open for all nationalities who kills on the dance floor, on the DJ box or on the runway. Yep you read it right! 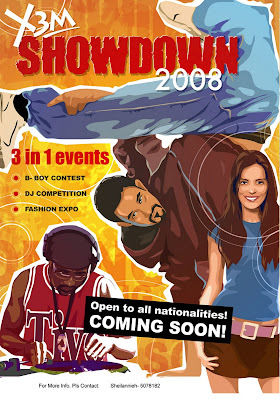 The X3M Showdown 2008 is a 3 in 1 event! Tonight, I shall be going to it's launching party at the Elysee Hotel (hope I spelled that right). You guys are all welcome for 10 KD per ticket with food and one helluva fun night. Thus am posting my favorite parts of that night. 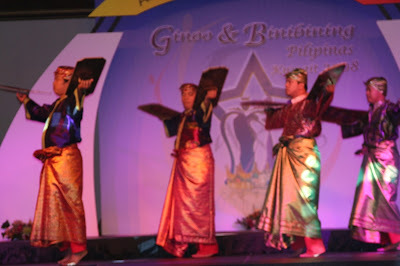 The Filipino ethnic dance for the opening ceremony. 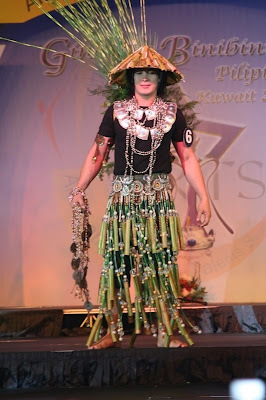 This one was a treat coz it's very rare for any Filipino events here in Kuwait to portray one of the Filipino wealth - the art of dancing and the history behind it. 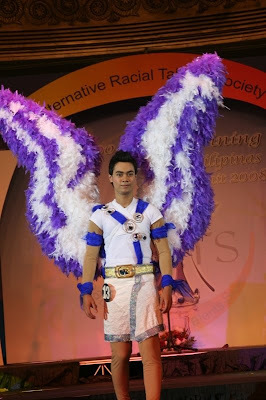 Ika nga nila - opening pa lang - winner na. 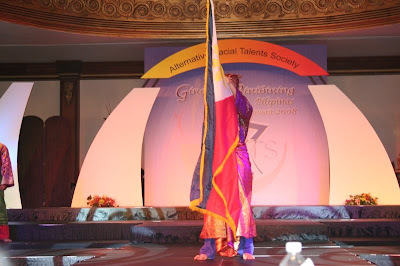 The dancer waving the Philippine Flag. 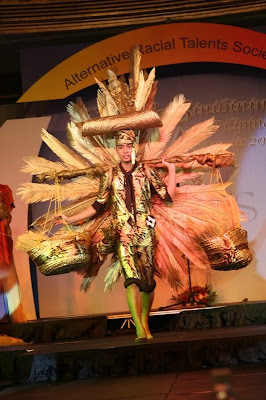 I've heard too many rumors about how horrible the casual dress was for the dance. Personally, I think they could've pulled it off on stage if only they didn't wore those ghastly leggings. 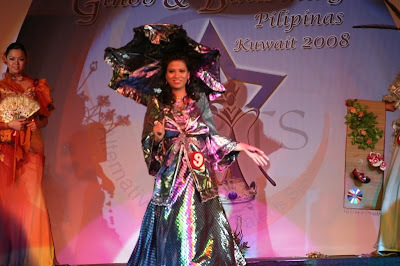 Geneva Cruz's outfit and oh the Paraiso song. I love Smokey Mountain! 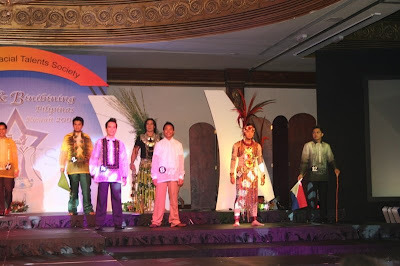 The evening gown category. Which we weren't able to take loads of photos from coz by that time ( read past 1 a.m) everyone's camera are low in battery. You gotta love their long gowns! 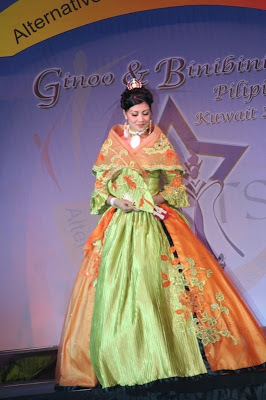 You gotta love our very own talented Filipino designers here in Kuwait. 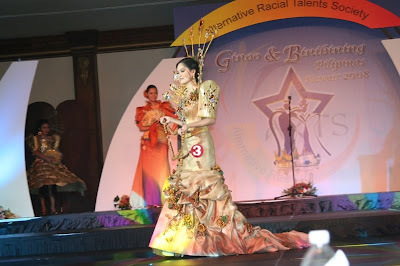 I've mentioned chica Filipinas right? There are a lot of intrigues from that show that I'm not even going to pay tribute by writing about it here. 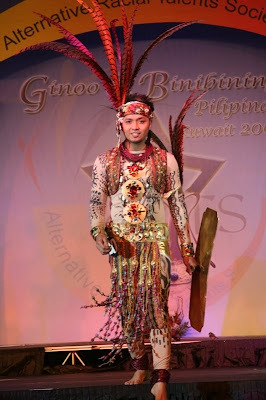 Just that, I hope, next time the candidates and the organizers should lay everything out in the open (i.e: the candidates should what they're competing for aside from the grand prize and the organizers should have some kind of a system). Un lang po. BOW. 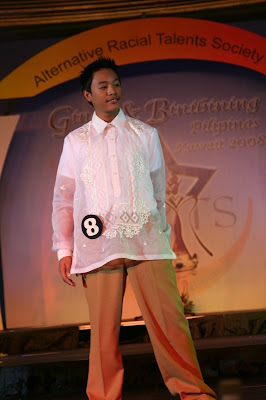 I had fun that night most especially coz I was with my family and it's always fun to dress up. 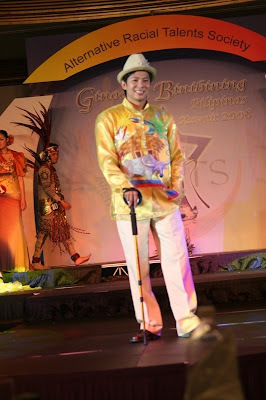 Also, I had fun because I was in the midst of the Filipino community who works hard here in Kuwait but got time to support Filipino events such as this. My verdict: WE SHOULD HAVE MORE! MORE! MORE! 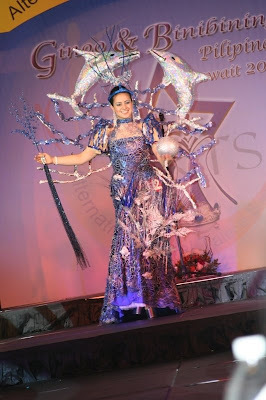 Don't you just wish that i'm posting something new aside from this old news of a contest. 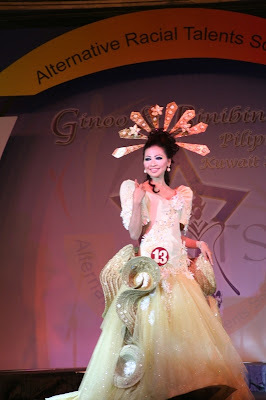 But hey, if I can give you insider info about why Miss Venezuela won and Miss Korea did not even qualify into top 10 for that recently concluded Miss Universe pageant, I would in a heart beat. 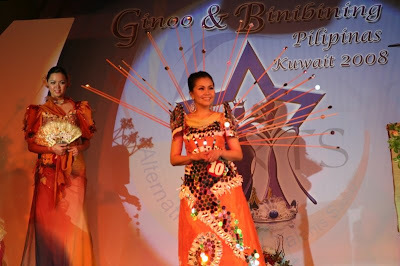 In the mean time, feast your eyes on our very own beautiful Filipinas living and working here in Kuwait as they strut their stuff wearing the traditional Filipiniana attires. 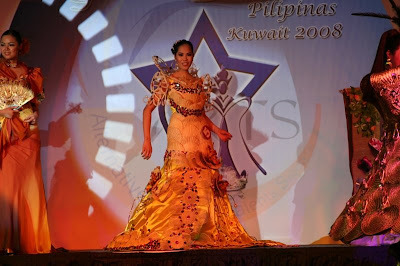 Most, if not all, of the Filipiniana costumes was designed and made by the very talented Kuwait based Filipino designers. 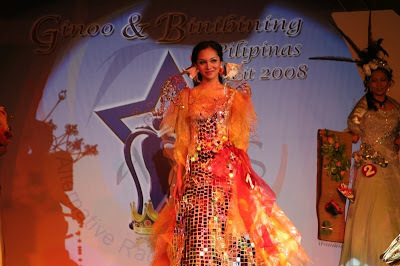 Photos are courtesy of Kuya Lino of K Climb who gave me almost 800 photos. 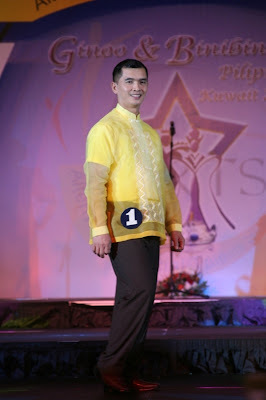 Thank you po Kuya!! 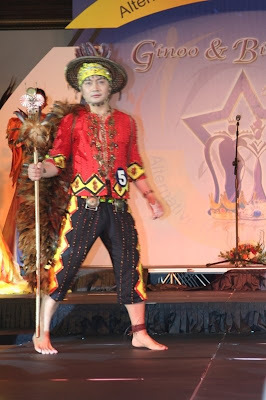 Mabuhay po kayo. 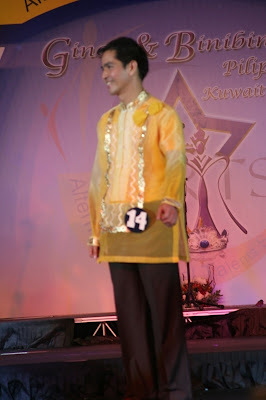 For the, uhm, macho gwapito Filipinos, I give you the Ginoong Pilipinas Kuwait candidates in their Filipiniana Attire! Hahaha! Sounds like pinamigay ko sila sa mga kasister ko. Pfft. 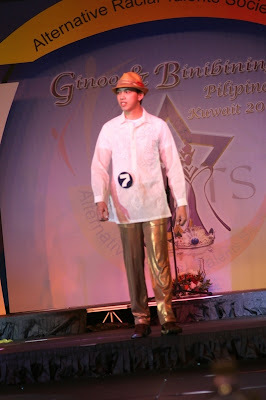 Again, the attires were designed and done by our Kuwait based Filipino designers. All of which deserve a bottle of Red Horse for being uber artistic and the well done job. 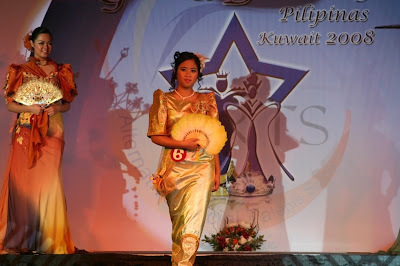 Again, the Ginoong Pilipinas Kuwait Candidates on their Filipiniana attire.